An indisputable gem of Gdynia modernism, one of few office buildings within the Kamienna Góra area. It was built between 1934 and 1935 following the design of Stanisław Płoski and K. Krzyżanowski and was meant to be the seat of a transport society. 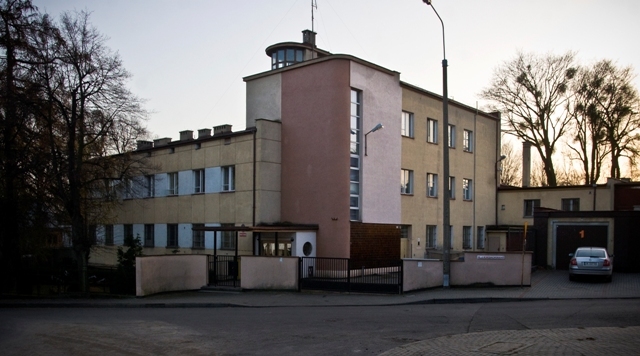 It is a functionalist style residential and office building where elements of marine style, rather uncommon within the area of Kamienna Góra, are emphasized: rounded corners (formerly covered with clinker – now only with brown plaster), periscope-like protruding glass top floor extension, and in the entrance arcade – a round window which imitates a ship's bull's-eye. 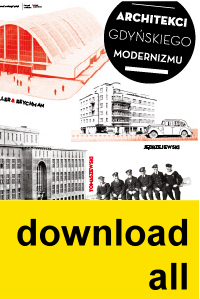 All this surrounded by a modernist garden designed by landscape architect – Barbara Koszycka.